Today we’re celebrating the release of Crow’s Rest by Angelica Jackson with a blog hop of spooky, “true tales.” First, I’ll share my Ouija Board story—then I’ll tell you more about Crow’s Rest. There is a trailer to watch, a contest to enter, and a link to a list of participating bloggers sharing their own tales! It’s just an innocent game, right? They say the planchette moves by something called the ideomotor effect (subconscious muscle movements), but my own Ouija Board experience proved otherwise. I must have been in fifth or sixth grade at the time. There was a girl named *Katie who lived down the street; we often hung out together. One day we discovered a Ouija Board in the top of the coat closet and decided to give it a try. The fun lasted for a couple days. We would go into my room, place the board on the bed, and kneel on either side of it. There, with the curtains drawn, we would take turns asking stupid questions. On the second day, Katie asked the “spirit” if he was the Devil. The planchette moved to “yes.” We began accusing each other of moving the disc and, being a smarty-pants, I decided to challenge the idea that the planchette could move unaided. I said, “If this is the Devil I’ll bet he won’t like this…” and I placed a cross necklace on the board. To our amazement, the disc scooted away from the necklace. Katie and I each backed away from the board. I picked the necklace up off the board and placed it right on top of the planchette. Immediately, the planchette flew off the board, colliding with the bedroom wall! Laughing, I turned to see Katy’s reaction—but she was already out of the house and halfway down the street. Why are we talking about paranormal experiences in the middle of spring? 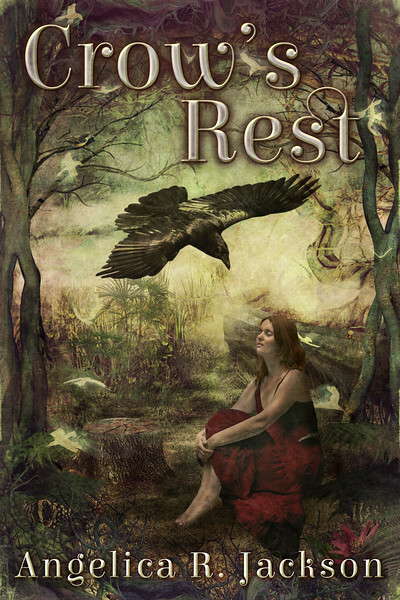 Because Angelica Jackson’s new book, Crow’s Rest, has just been released! We’re all celebrating by sharing spooky, “true tales” and giving away prizes. Share your own spooky tale here in the comment section. follow the blog hop to read other chilling tales. And, there’s a Rafflecopter contest to enter! 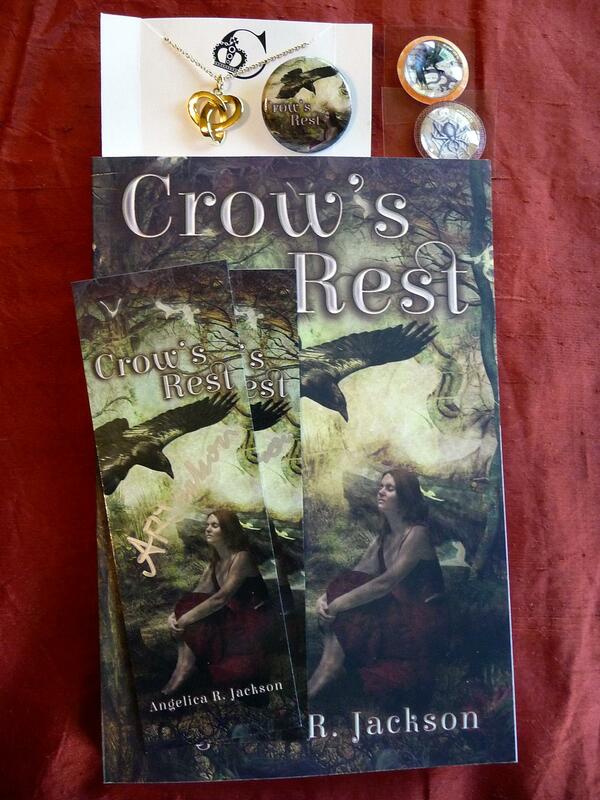 You could win a signed copy of Crow’s Rest, signed bookmarks, and/or swag. Just use the handy form at the end of this post. Avery Flynn arrives for a visit at her Uncle Tam’s, eager to rekindle her summertime romance with her crush-next-door, Daniel. But Daniel’s not the sweet, neurotic guy she remembers-and she wonders if this is her Daniel at all. Or if someone-some thing-has taken his place. Her quest to find the real Daniel-and get him back-plunges Avery into a world of Fae and changelings, where creatures swap bodies like humans change their socks, and magic lives much closer to home than she ever imagined. In keeping with her scattered Gemini nature, Angelica R. Jackson has far too many interests to list here. 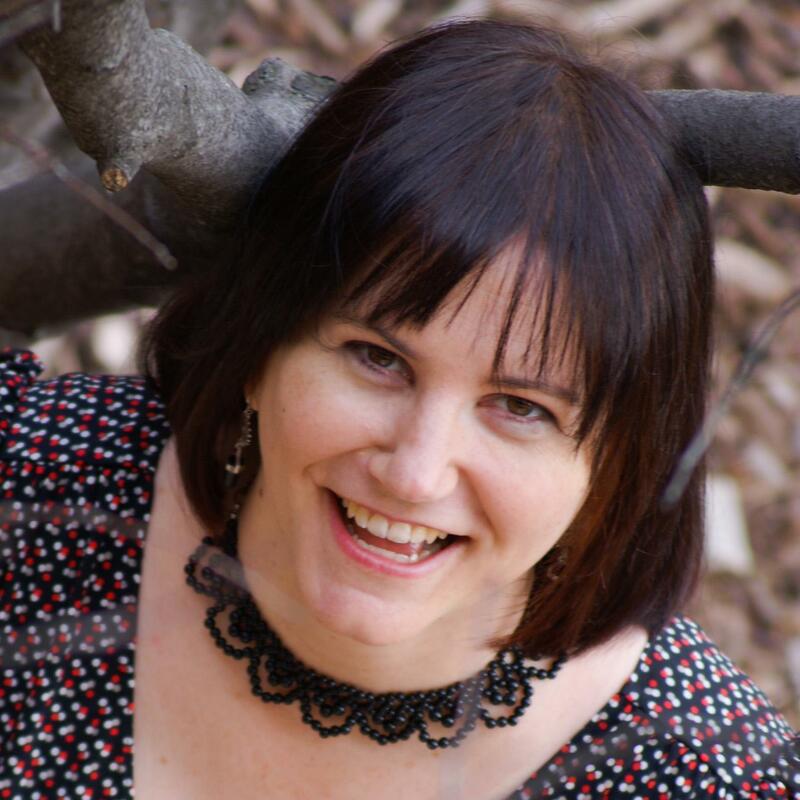 She has an obsession with creating more writing nooks in the home she shares with her husband and two corpulent cats in California’s Gold Country. Fortunately, the writing nooks serve for reading and cat cuddling too. Other pastimes include cooking for food allergies (not necessarily by choice, but she’s come to terms with it), photography, and volunteering at a local no-kill cat sanctuary.